That is their trade and profession: to catch fish. They have loads of experience. Still, they are pros who know what they’re doing. They’re calling it quits; at least for now. It’s time to clean the nets and try again tomorrow. That’s the normal thing to do when you don’t catch anything. As it happens, “normal” is a pretty good description for their lives at the moment. Things now have gone back to normal. Simon-Peter and the gang have gone back to work. And nothing is more normal or sobering than going back to work. That He finds it most appropriate to teach them. Please notice that Jesus doesn’t just swoop in and fix their problem. He does not simply get into the boat and miracle them some fish. 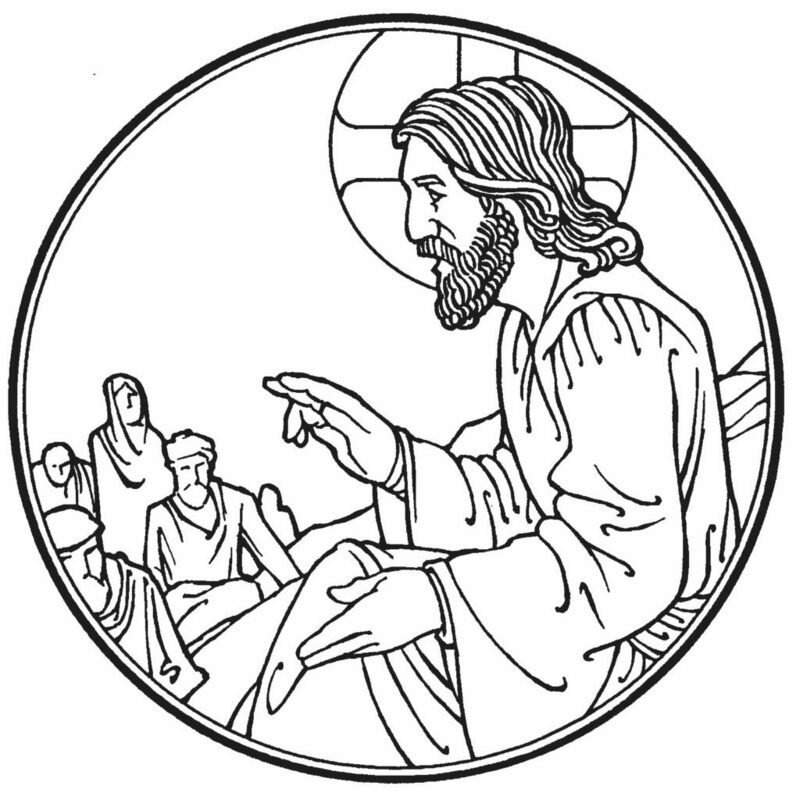 Instead, Jesus sits down, just as He did at the synagogue, and He teaches them. Luke doesn’t give us all those details, but you can be sure it was God’s Word. But also because that is what the people pressed in upon Him to hear (v.1). It certainly wasn’t a lesson on how to be a better fisherman. This is why what happens next is so jarring. What they might expectis an application of whatever Jesus just taught them. The big difference being that this time they’d do it Jesus’ way. But it gets complicated when Jesus’ way doesn’t seem reasonable or effective. They’ve been at it all night, and they’re not exactly new at this. The fish are just not there. They haven’t been there all night, and they certainly won’t be at this time of day. But that doesn’t matter when Jesus says to let down your nets. And Simon answered, “Master, we toiled all night and took nothing! and their nets were breaking. They signaled to their partners in the other boat to come and help them. This miracle, with Jesus’ preaching and teaching, brings Peter to repentance. His God, His Lord, His Savior and His Master. In the light of Epiphany, Peter sees who he is as well. Peter says who he is: a sinful man, for whom God’s presence is not safe. So it would be best for everyone if Jesus went somewhere else. The whole bit with the fish wasn’t the point. Plus Adam, plus Eve, plus you, plus me, have been doing everything our own way. Empty nets and empty hands, empty heads and empty hearts. The poisonous bounty reaped by doing our own will. For all of that it would be just and fair for Jesus to move on past us. Jesus has come; He has taken our empty; and He has filled it up. And really, this should no longer surprise us. He spoke to the nothing and brought forth everything. In the Old Testament He filled an empty Temple. At the Annunciation, He filled an empty womb. At Christmas, He filled an empty manger. Today, He fills empty nets. Today, Jesus fills empty men with His Holy Spirit, so that they believe in Him. Jesus has done this to you. It is yourworld He has entered. It is yourflesh He has taken on. It is yoursins He has dragged to the cross. It is yourdeath He has died. It is you He has filled. At Baptism, Jesus filled you with His Holy Spirit, so that you believe in Him. He did that to you. He filled yourempty net and your empty heart. His own beauty, His own keeping of the Law. He has made His presence safe for you again. So what now? What happens once you know Jesus? Once they know Jesus, they leave all those fish behind, flapping on the shore (v. 11). Life now means going where Jesus goes and doing as Jesus does. You now, in your new life, do things Jesus’ way. No matter how long he’s been at it, Peter doesn’t get to tell Jesus how to fish. Christians don’t get to put Jesus in a spiritual box, and decide where He is in charge. Jesus is your Savior, but He is not onlyyour Savior. He is not the Master of part of your life, or Master of Sunday mornings. And He is Master of all of it. They are His. And He actually does knows how to use them best. Even if it doesn’t make sense to you, let down your nets. And as you do, simply do it as Jesus asks. He doesn’t need clever strategies or slogans or anything else to grow His Church. Jesus will do it His way. Be here every single week. And in the other six days of the week you are not here, be in God’s Word at home. That’s how Jesus grows the Church – by first growing you as disciples. Live lives of love and mercy in the world. Be patient – kind of like fishermen – at least the good ones. Listen for a while people tell you how empty and hurt they are. And don’t be fooled when they make it sound like they’re happy and full. In love and in mercy, share the love of Christ with them. Full pews, full churches, and the need for a bigger building. And maybe it won’t look anything like that. And they do it to follow Christ wherever He goes. With the promise that it will work. They will die doing things Jesus’ way. James is beheaded by Herod Agrippa. John is exiled to Patmos and dies. Like their Master, they die at the hands of those they are sent to catch. Backwards as it seems, that works, too. The Church’s mission is not marked by obvious glory or success. The kind you can measure on a chart. All of that works great for businessmen and fishermen. You eyes are not fixed on the nets. They are set solely on your Master.